Groom Jared Vaal had only a few requests for their wedding: No overwhelming amounts of pink. An open bar. And it had to be Up North. 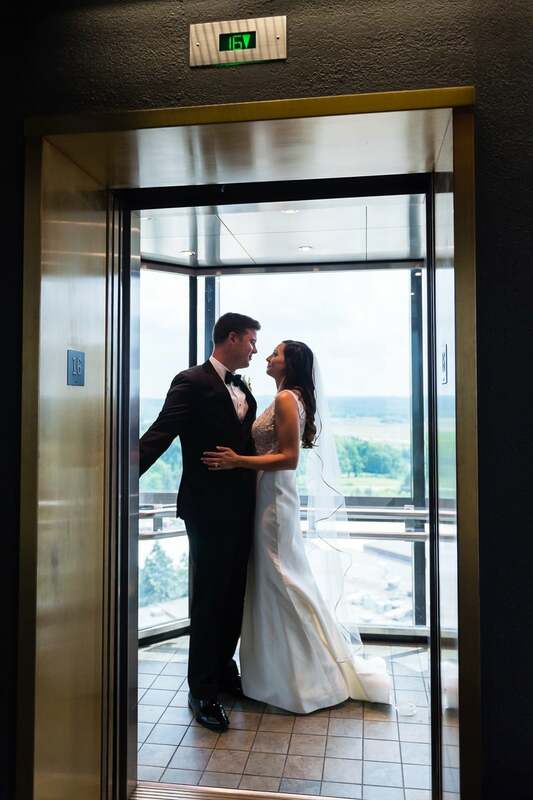 A destination wedding at Grand Traverse Resort and Spa checked all the boxes and then some. For Amy Vaal, the last requirement was especially easy. 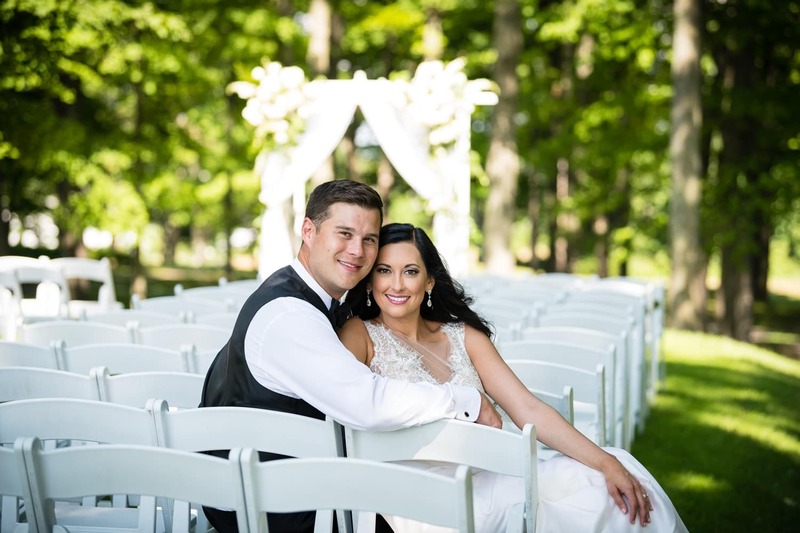 She had grown up coming to Crystal Lake with her family, and her fiancé, Jared, had also fallen in love with the lazy days on the lake and the Northern Michigan lifestyle. The perfect solution? 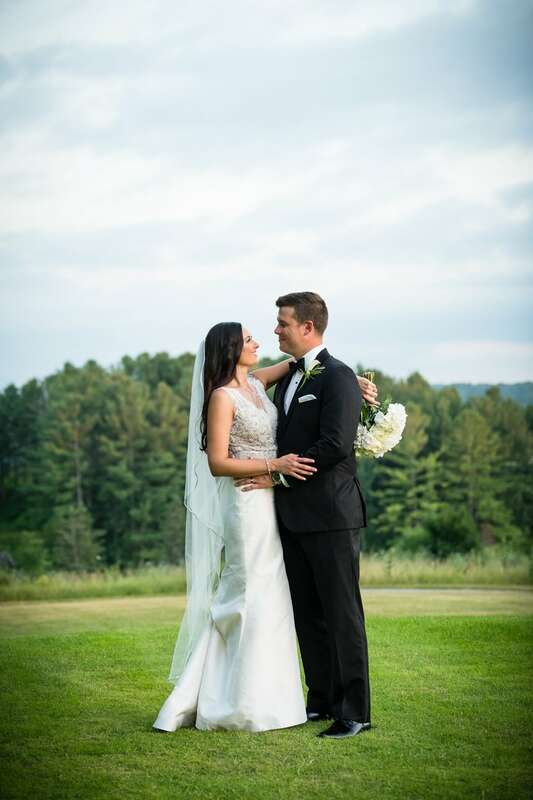 A destination wedding at Grand Traverse Resort & Spa. 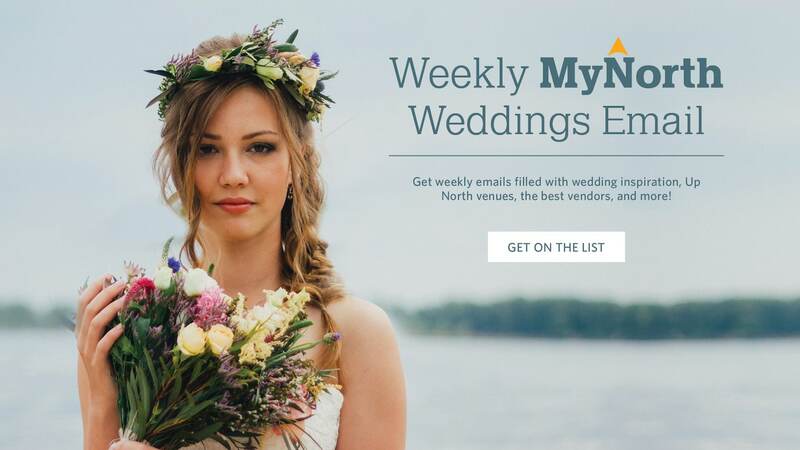 The Indiana couple, who met at a New Year’s Eve party in college, had originally pondered a New Year’s Eve wedding, but scrapped the idea (too cold!) in favor of an outdoor summer fête. Liz was Amy’s point person on the wedding, working her carefully through reassuring options and contingency plans. Amy talks about as if she has wings and a halo. “Liz did a phenomenal job,” says Amy. “It’s just provided as part of their services. 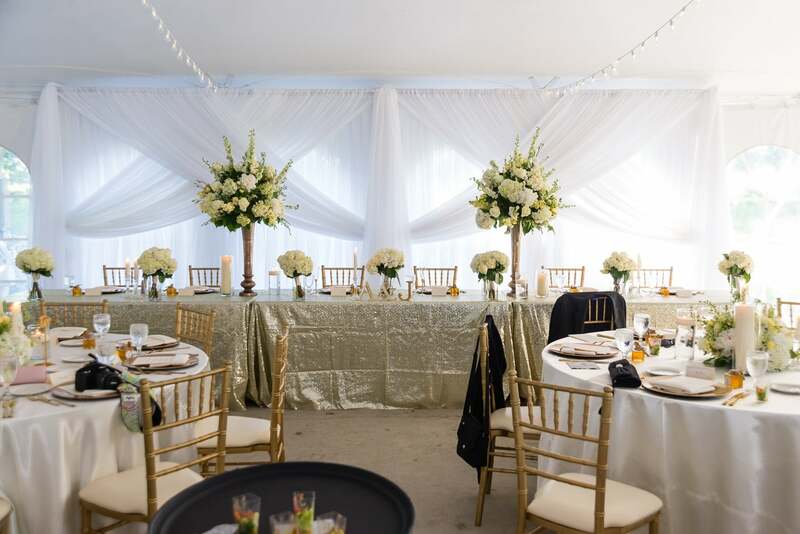 It was so easy!” The resort handled the site, event management and design, cake, bartender, caterer, timing. Having those logistics in hand meant that Amy could focus on the fun stuff—the details. 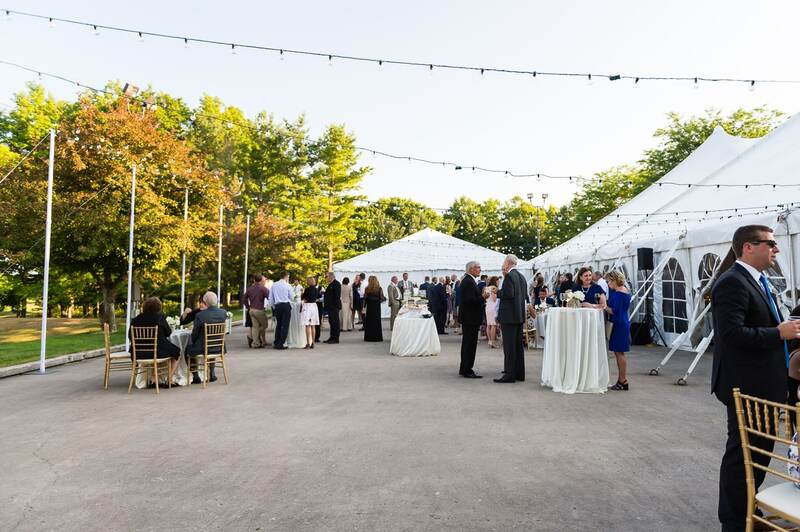 Guests arrived to a casual welcome reception on Friday complete with comfort foods like barbecued ribs and cherry pie. For the ceremony, Amy wanted things a little more elegant. 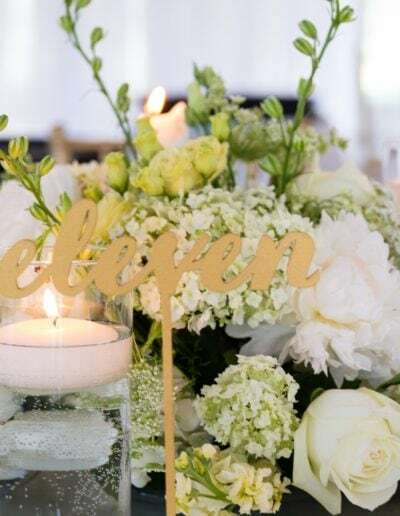 “I love the trendy things on Pinterest, but I wanted something timeless, so everything we did was pretty neutral—champagne and white colors, classic flowers. 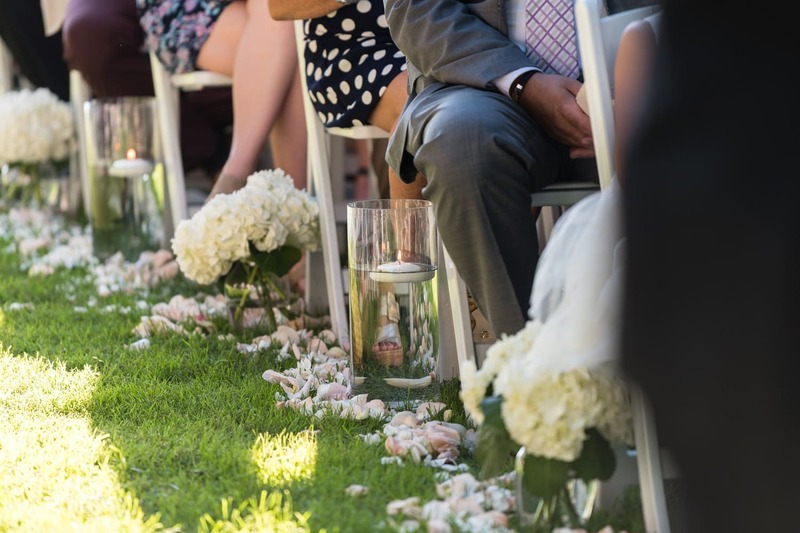 I didn’t want to look back and think, ‘why did I choose that?’” They opted for a short ceremony set in the trees with traditional vows, and then a gorgeous white tent for the fun. Guests were treated to gifts of tiny honey pots of whiskey barrel honey from Iron Fish Distillery. They sipped local wines from Chateau Chantal, Chateau Grand Traverse and Brys Estate Vineyard and Winery (the couple loves their Naked Chardonnay). “All in all, the resort had everything I was looking for,” Amy says. 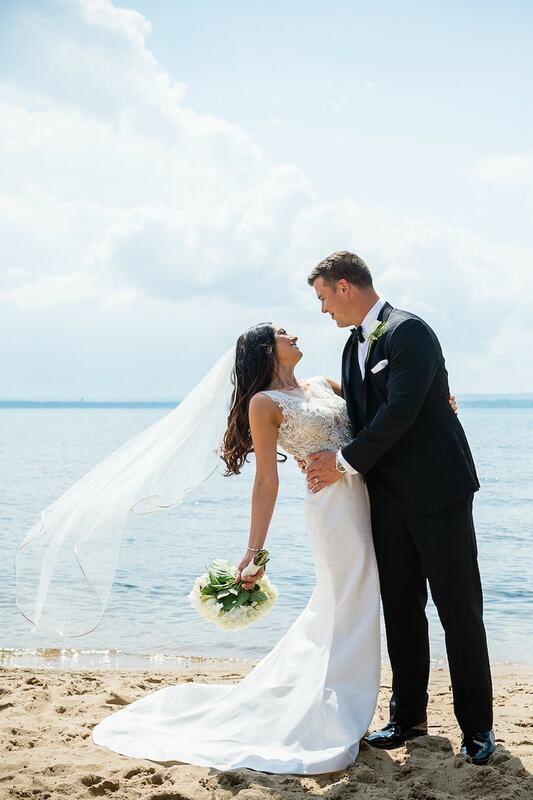 The couple loved that they didn’t have to leave the property and just used locations all across the resort, from their welcome reception at the Pavilion, to first-look photos at Aerie Restaurant and Lounge, to their farewell brunch (also at the Pavilion)—even a golf outing for the groom and friends. 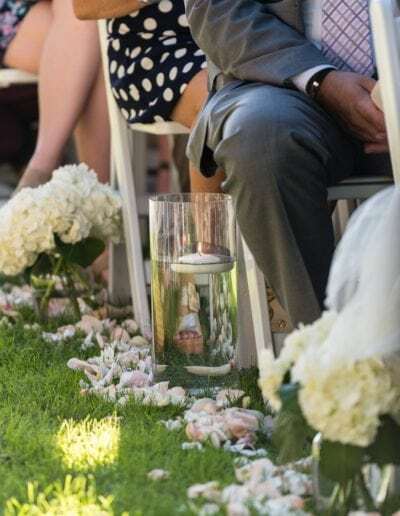 “Every small detail—down to the type of chilled water we served at the reception—Liz took to heart,” Amy says. Which meant that Amy and Jared could focus on joining theirs. Flowing dresses were a cool choice for a (very!) hot day, and the perfect weather meant guests could enjoy an outdoor cocktail hour before heading in for the reception. 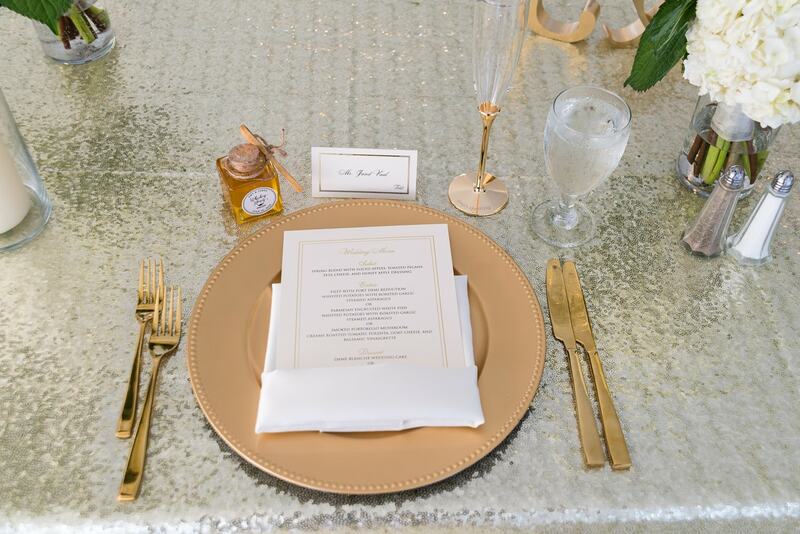 The spacious, deluxe tent felt elegant and bright, set off by a sparkly palette of champagne, white and gold. 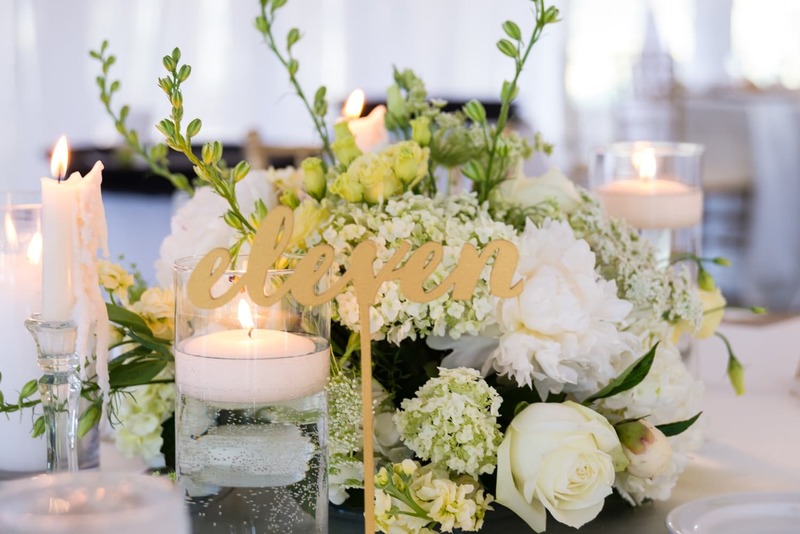 The couple knew an outdoor wedding could be a weather gamble, but felt confident knowing there were plenty of plan B event spaces at the resort in case of rain. 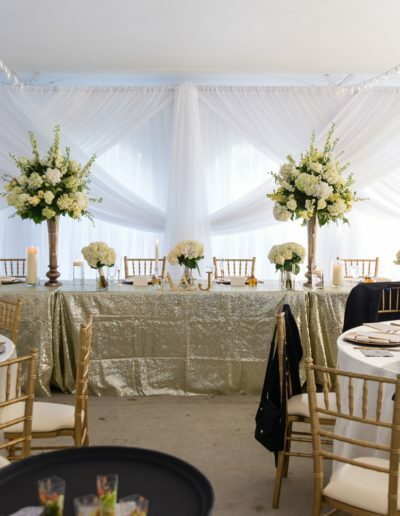 The classic flower arrangements, a mix of roses and peonies, “were one of my favorite things,” says Amy.